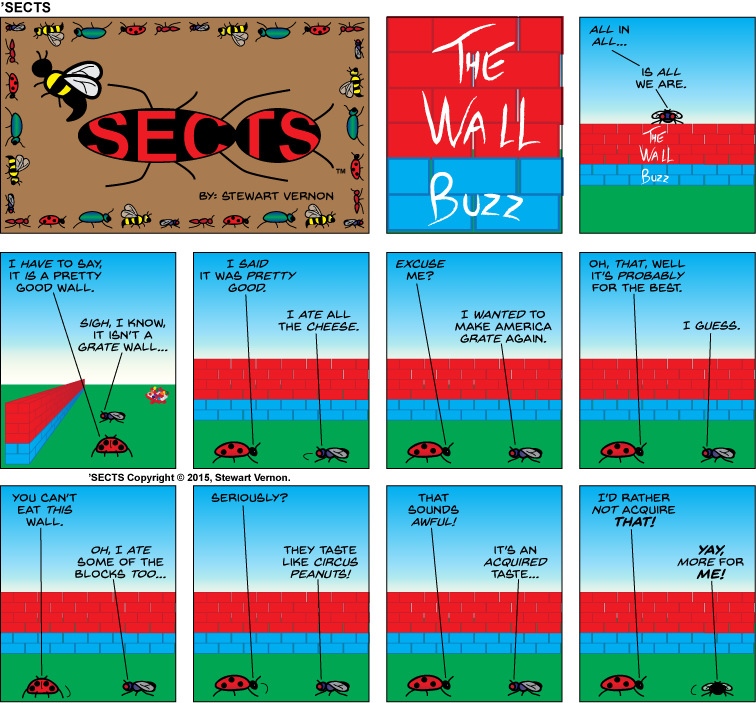 FYI, this marks the 1 year anniversary of ‘Sects as a comic strip. 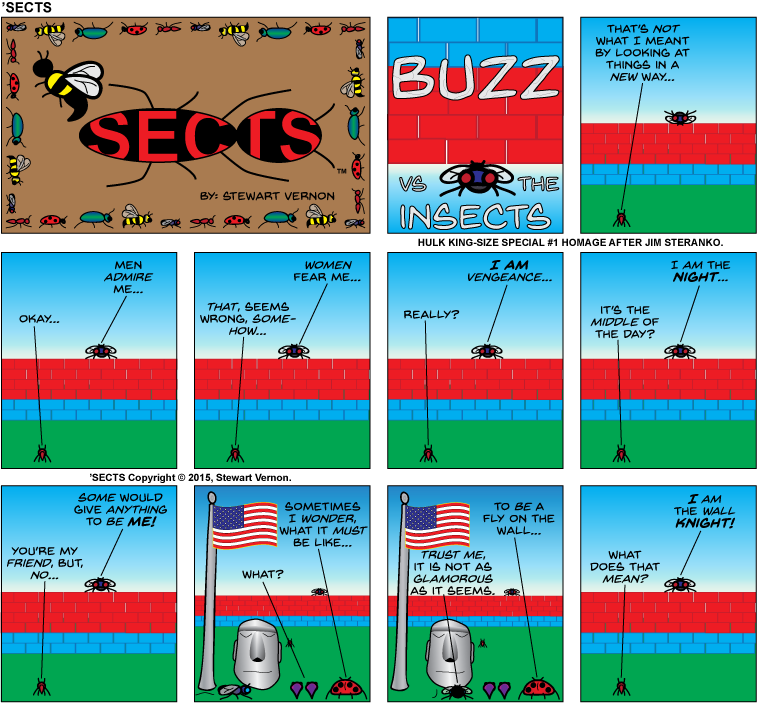 I began this strip the week of Thanksgiving in 2014. I invite everyone to take a look back at the very beginning to see how things have evolved over the past year. I hope you’ll also enjoy this week’s nod to how the story began, once upon a time! If I had this to do all over, I would do two simple things differently. One is that I would make the light on top blink a bit slower. I think it blinks a bit fast and it’s easy not to notice it blinking at all. The other thing I would change is to actually put something behind the Tardis so that the materialization and dematerialization obscures and then reveals something in the background. Felt like I ought to get this posted before the end of the current series (only a couple more new episodes to go after tonight) so people could see it while in the right mood. Remember, if you are interested in requesting my services as an Illustrator, please use the Contact page and let me know as much as you can about your request. 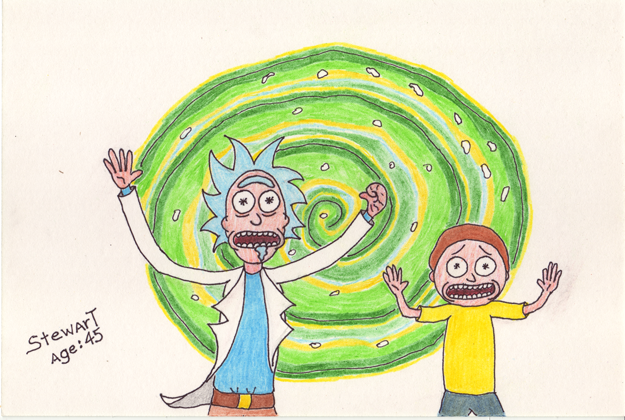 Rick and Morty… It’s a Trap! 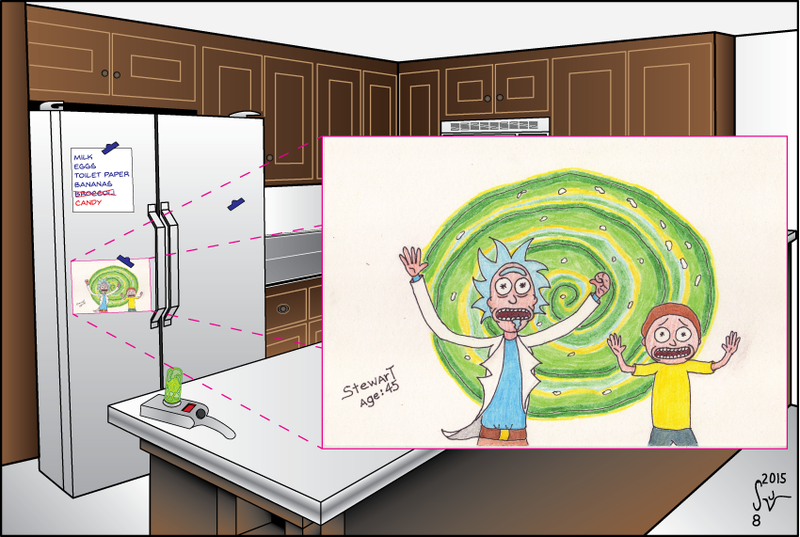 I then combined everything into one digital image, with the small version on the fridge and the zoom/blowout to be sure people could see what was going on… Lastly, I added the dimensional portal gun to the kitchen counter. 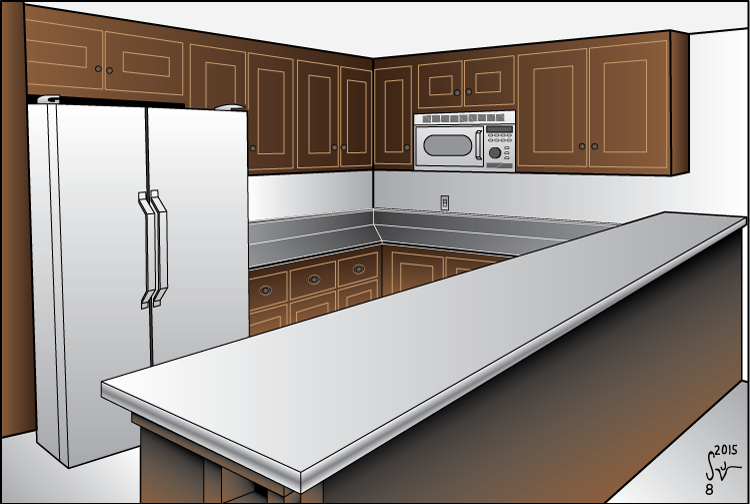 A little bit of additional contrast to the digital vs hand-drawn composition was the fact that the digital world was rendered as a three-dimensional one, while the hand-drawing was depicted as flat. I thought this turned out pretty well, and is actually one of my favorite things from this year. Please let me know what you think. Remember, if you are interested in requesting my services as an Illustrator, please use the Contact page and let me know as much as you can about your request.